Hi all, hope you’re well and having a great start to the week. It’s getting close to two years since I started blogging. 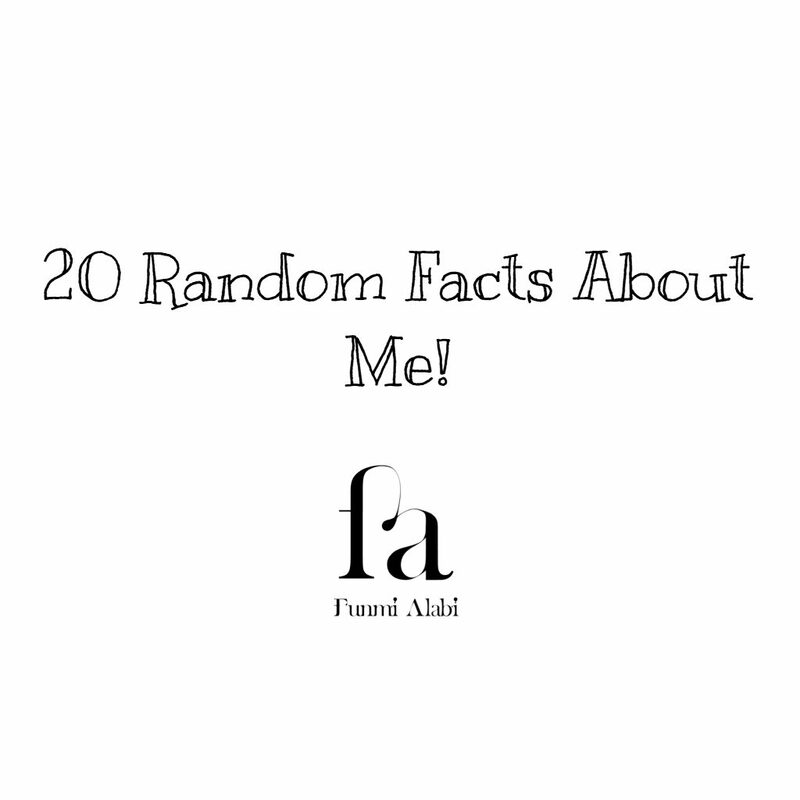 I thought I’d share with you 20 random facts about me, so you get to know me a tad more personally. So here they are; hope you enjoy reading. My name is Funmi, pronounced as /fu-me /. The ‘n’ is silent. A lady should be proud of her age; I’m 25. I’m unsure as to how tall I am, but I tell people I’m 5’6. I studied Law at university. I’ve only been blogging for just under two years. I started with the intention of showcasing my Cape design. I’m a sociable introvert. I’m a fun-loving individual who although enjoys her company a little too much (as a friend puts it), very much likes to socialise particularly with people I’m comfortable around, like you. Yes, you reading! Having said that, I do like meeting and engaging with new people. Am I really an introvert? I think I’m funny; I can make a good joke out of anything. Try me! Don’t put me on the spot – my voice gets deeper! Although I love it. I’m very observant and analytic. I can tell a lot from first conversations. I sing professionally, also in my church’s choir. I’d love to learn to play the bass guitar! I’m never entirely impressed by what I do; I’m quite hard on myself. I am a firm believer of there always being room for improvement. I always spray bottled or canned items into the air before applying on myself. For example, perfume, body spray, makeup setting spray. I’m unsure why I developed the habit, but it feels right. Haha. Food: Anything with pasta/spaghetti – quick and easy! Music: May I firstly put it out there that I LOVE Christmas songs. I listen to them all year round. – Music medium: Soundcloud! There’s so much on there, and lots of new artists to discover. – Artist: Currently loving Anthony Hamilton. I’m not a product junkie. I tend to stick to what works; I’m loyal. Lol. I love action films, thrillers too. Bruce Willis, Tom Cruise, Nicholas Cage, Denzel Washington – Yes, please! It’s very unlikely I’ll have breakfast before noon. It just never happens, even when I’m home. Haven’t had McDonald’s this year. CHALLENGE: Do leave a random fact about you, would be great to know. RANDOM FACT: I’m obsessed with oreos! Ou, nice to meet another Lawyer. Are you practicing? Christmas songs are the one, haha! Bad luck? Never heard that before. Try this https://soundcloud.com/writerz-blok-music-group/the-wb-carol. That means courage! This is a good exercise to expose like this! Love ya! Thanks Sharon; certainly is nice getting to know other bloggers more personally. Love this post! Thanks for sharing all these cool facts. So glad you explained how to pronounce your name. 🙂 I love Christmas songs too so I guess we are both excited about this upcoming season. Ou that’s nice; the name is quite a popular one. Nice post! Nice to know you a little bit better. It’s good to learn more about blogger. Thanks for stopping by. I currently don’t have a video of just myself singing; maybe it’s something I need to consider. I love posts like this! I agree with you about shopping, not my favorite activity. And if, then definitely alone. So nice that you sing professionally! I also agree that there’s always room for improvement! I love spaghetti! Also whatever is easy, quick, practical. 🙂 Hope you have a very nice week! Aw, we have so much in common. Great! Loved learning more about you! You are so smart! Law is an awesome field! Thanks Vanessa! Indeed, Law is an a field of study. Did you study Law also? When i got to the last on the list and saw ”haven’t had McDonald’s this year, i couldnt help but let out some loud laughter. Love this post and may probably do same someday. I’m not a product junkie either cause I like to use things up and not have to throw them away! 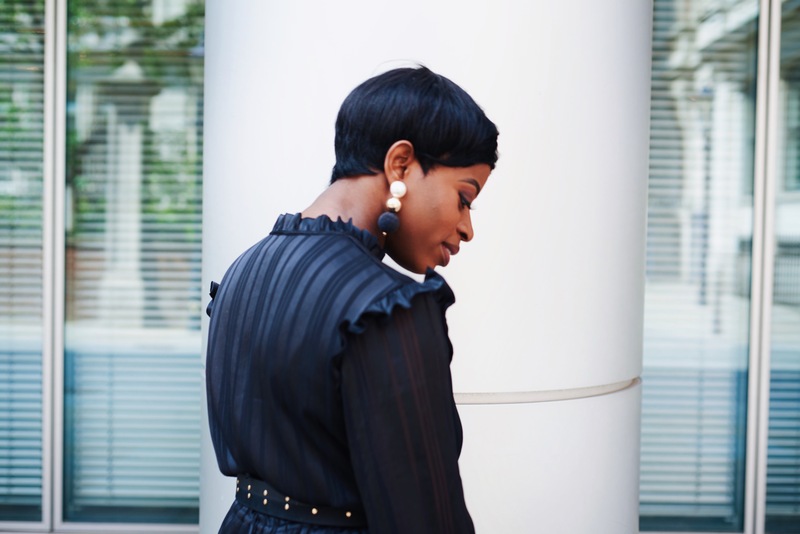 I love the fact that you LOVE GOD, you just became one of my favorite bloggers because of that. ?? Aww, thanks darling! Where would we be without Him?! Love your post and I so want to learn the bass guitar too. 🙂 My random fact is that I’m absolutely crazy about pugs lol. Ah, glad to find someone who’s as crazy about the bass guitar as I am. Hehe. I love your number 14 spraying in the air, I do same . Firstly, thanks for stopping by. I do hope you stay around also. Haha, social introverts are the best. I believe we have the right balance between both ends. Can’t wait to read your facts. Lol! I can tell you’re a fun person by this post. Black used to be by favorite color till my mum preached me out of it. Random fact about me; I dislike pawpaw. Yuck! Haha, I’m glad this post is a reflective of how fun I am. Oh no, one of those preaching. I encountered such when attempting to purchase a monochrome bed cover; the lady suggested sleeping in black was never a great idea. LOL!